Mechanical oil pressure gauge. (This gauge is NOT Electrically operated.) Oliver Super 44, Super 55, 66, Super 66, 77, Super 77, 88, Super 88, 440, 660, OC-3, OC-4, OC-6. WILL FIT 60, 70, 80. You will need to reuse your old tubing. 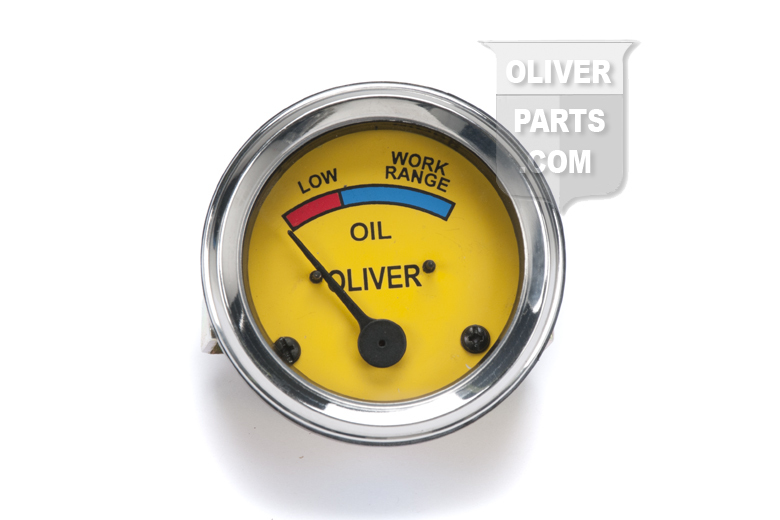 Oil tubing is not supplied with this gauge.